I'm freaking out! We are headed to the Ann Arbor Princess Ball on May 12th in Plymouth, Michigan and my daughter is going to absolutely LOVE it. I know that I've mentioned it before but Adalyn literally dresses up as different princesses all day long and changes her costumes all through the day. She sings all of the different princess songs and when she gets to meet different characters, it is her favorite thing in the world. When I saw that all of the princesses are coming to town for this special event, I knew that we had to go! 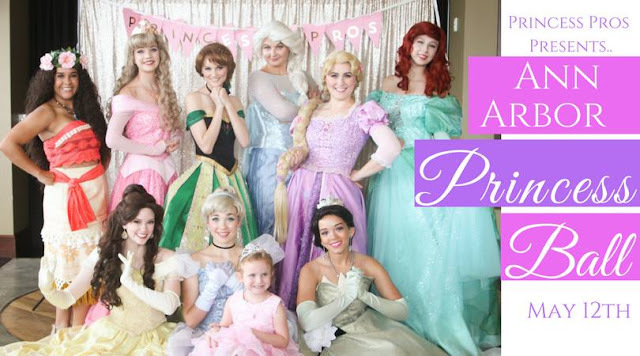 The show is put on by Princess Pros Entertainment and will be at the Inn at St. John's with some of the best princesses. 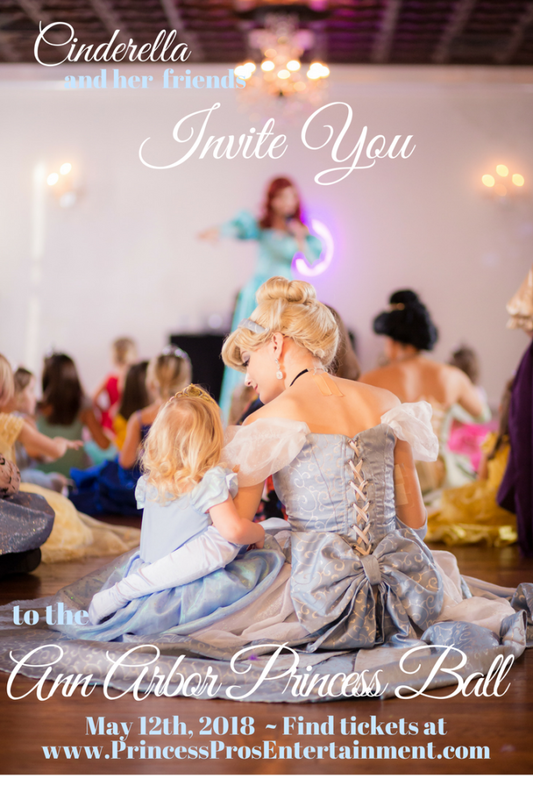 There will be dancing with Cinderella, hula with Moana, making a craft with Rapunzel, singing with Elsa, learning etiquette with belle, getting your face painted and more. It will seriously be Adalyn's dream day! The hardest part will be deciding which princess dress to wear. My guess is Elsa or Rapunzel but we will see what she decides on that day. As part of the event, you can take photos with the princesses, dance with them, hug them, etc. There will be an interactive show with singing, clapping and laughing. There will be popular princess songs, teaching dance lessons and some surprises. For the princess crazy girls like my daughter, there are VIP tickets available where you can arrive early to meet the princesses beforehand and get a picture with each of them. They will also get professional photos. They will put eye shadow and glitter on your little princess and give them a special hairdo. Adalyn will freak out!! Watch out or Elsa may freeze you!! Follow me on social media to see photos of our time. I know that Adalyn will be more excited than me but until I tell her about the show, I am the one holding this amazing secret that I know will win me mom of the year in Adalyn's book!! Find out more on the Ann Arbor Princess Ball's Facebook Page. Hope to see you there!! Tickets were provided for promotional purposes.